Hey TheVeganMom.com fans! Thanks for taking the time to read my guest blog post dedicated to the new Mystic Animal Rights Force group. I am a vegan living in Southeastern Connecticut with a passion for animals and healthy living. I run a blog called Ethical Clips and I am a social media consultant for sustainable, vegan startup companies. So, what’s my story? It is generally one of an animal-obsessed little girl turned college-educated activist. In elementary school, I repeatedly and unsuccessfully attempted to talk my mother into letting me take home one of the classroom’s fluffy little baby chicks (…no, I didn’t have a plan for what would happen when it turned into a big chicken). I wrote my fifth grade autobiography on why I wanted to be veterinarian when I grew up, ordered veggie burgers at wing restaurants and never felt right cutting up and eating a lobster while on vacation in Maine. During my first year of college, I finally made a split decision to give up meat after a classmate gave a presentation on the impact of veggie burgers versus hamburgers. The decision felt right and when people asked me “why” at the start of my diet change, I would shyly reply, “Well, I’m a really big animal person.” This was before I solidified my current position on ethics, health and the environmental impact of meat production and animal product consumption. Now, and only when people ask, I love confidently sharing the reasons why I choose to live a loving, ethical, plant-based life. The start of educating myself on living “meat free” was not easy, as many vegans may know. I researched and researched through what seemed like a black hole of blogs, websites and Internet videos. I watched Meet Your Meat and Food Inc. I decided to change my diet forever. When I saw my first video of a slaughtered cow hanging upside down, left to bleed to death surrounded by metal and walls of concrete, I realized how hard of a fight this would be. A fight against the undoubtedly unnatural, a fight against pain and sorrow, and a fight against the norm, where hamburgers are presented at fast food restaurants and hidden behind smiling families in television commercials, while sad animals live miles away in misery. These hamburgers are not only physically unhealthy, but also harbor the sad energy of the lives the animals led before they became food for humans. …But it’s not all sadness because we can make change. We can change the way animals are treated, we can change the way the environment is impacted and we can change the health of our own bodies. The average vegetarian saves 50 animals each year, not eating only one pound of meat saves the same amount of water as not showering for six months and 50% of meat eaters die from heart disease versus 15% in vegetarians and 4% in vegans. After living in southeastern Connecticut for a year, I decided there should be a larger presence for people looking to share their love for animals and a healthy, plant-based diet. When I attended The Seed vegan food festival in NYC this summer, I felt what it was like to be surrounded by people who truly, deeply care about animals. 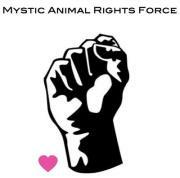 I’ve started Mystic Animal Rights Force to bring people in Connecticut together into an environment where they can engage with other like-minded animal lovers through online discussions, meetups, dinner parties, documentary screenings and tons of other fun activities. Mystic Animal Rights Force will be an environment welcoming to vegans, vegetarians and, importantly, anyone interested in learning more about animal rights or a plant-based diet. We look forward to starting up the online conversation and growing our network of new friends! Please head over and ‘like’ & share our Facebook page at: www.Facebook.com/MysticAnimalRightsForce. Reach us on Twitter at @AnimalRightsCT and by email at MysticARF@gmail.com. Brooke Shields’ fur dream fulfilled in Denmark. Oh Brooke, Brooke, Brooke…. are you kidding me? This may be your little girl’s dream…. but this is my little girl’s nightmare! Farm Sanctuary and Union County Humane Society Working Together to Offer Refuge for Animals Victimized in Conklin Dairy Cruelty Case. The video recently released, showing ultimate acts of cruelty against dairy cows at Conklin Dairy, has broken my heart. I am at a loss for words, and I pray that the animals involved in this abusive environment, are rescued soon!! The fact that the law protects the rights of these dangerous criminals, over these innocent animals blows my mind! 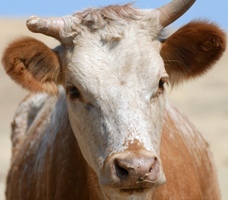 Please voice your concern for cows at Conklin Dairy & support Farm Sanctuary’s efforts to save them! Prescription Drug Use On the Rise in Children. I wish that more parents understood the benefits of a well planned, plant based diet for their children. A Vegan diet can save lives, yet so few doctors will recommend it to their patients. Drugs, drugs, drugs….. is this really the answer? And by the way, well balanced plant based diets have not only been proven to PREVENT Type 2 Diabetes, but also to REVERSE Type 2 Diabetes! For more information on this topic, please read “The China Study” by Dr. T Colin Campbell. Cool school food program turns Harlem kids into vegans – are yours next? Cool school food program turns Harlem kids into vegans – are yours next?. YES!! This is so great! Teaching the kids proper nutrition and feeding them well too?!?! I LOVE it! Healthy School Lunches / Healthy School Lunch Revolution. 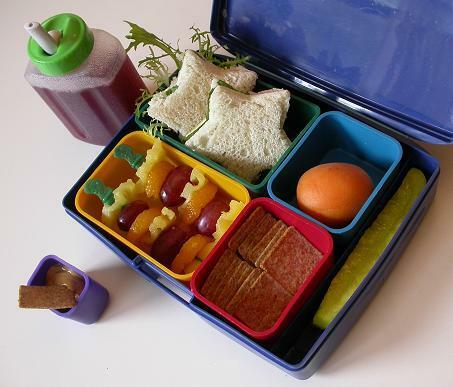 I love preparing a healthy Vegan lunch for my son each day, but sometimes If I’m in a hurry, or low on groceries, I need him to buy lunch at school. Unfortunately the only Vegan option they offer is PB&J. I guess I should be happy that they at least have something for him, but c’mon, food is life, and a kid can’t live on just PB&J!! Even the salad option is “Chef Salad”!!! I honestly have trouble understanding, how any good parent allows their child to eat “brunch for lunch” (greasy sausage & french toast sticks), mystery meat, low grade beef tacos and the other garbage served in cafeterias across the country!! 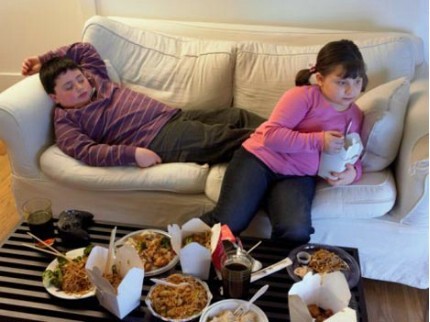 It’s not much of a surprise that 1/3 of the kids in America are considered overweight, and setting themselves up for a life with chronic disease! Please check out this informative site and sign the petition for healthy school lunches! Our kids deserve better!! Physicians Committee for Responsible Medicine (PCRM) – Neal Barnard, M.D., president.